It is with deep sadness that we announce the passing of a true visionary, Michael A. Smith, Co-Founder of Arts of Our Time. Michael’s passion for making, promoting, and teaching photography remained sincere and strong throughout his more than 50-year career as a leading figure in fine-art photography. As a result, Michael was known internationally as a brilliant photographer and as an extraordinary teacher, theorist, critic, and publisher. No matter which hat he wore at any given time, Michael never tired of giving his time, knowledge, and passion to the visual arts. Before his passing and, most movingly, since then, many people around the world who knew Michael, his work, and his mission have asked what they can do to make the dream come true. If you feel motivated to contribute to that essential effort, please make a donation to Arts of Our Time, the not-for-profit organization that Michael founded in 2003. By contributing, you will enable Paula Chamlee, his wife, partner in the arts, and AOT co-founder, to honor Michael’s memory, ensure his legacy, and keep his dream alive for the benefit of future generations of visual artists as well as for the many people who care deeply about the arts. A memorial service is being planned at the Michener Art Museum in Doylestown to celebrate his life and work. The date is yet to be determined, but will take place sometime after the holidays. Artists Michael A. Smith, photographer, and Paula Chamlee, photographer and painter, have a significant presence in the art world (between them, their photographs have been collected in over 150 art museums). Since their home and studios are artist-designed, it is appropriate that these buildings become a permanent resource for artists and art-lovers. The original impetus for Arts of Our Time was to house Smith and Chamlee's extensive archive of artworks, letters, books, and other published materials at their home and property in beautiful Bucks County, Pennsylvania. This area is a place known for over a century where well-known artists have lived and worked, among them photographer and painter Charles Sheeler. The writer James Michener also lived near Smith and Chamlee's property. As plans evolved, they realized that it could be much more—a place open to the public as a forum for dynamic programs that further education in photography and other arts, as well as exhibitions, performances, and residencies. Proceeds from the sale of Smith and Chamlee's work during and after their lifetimes will help fund Arts of Our Time along with the support of a network of individuals, foundations, corporations, and groups invested in the mission of the organization. To hold annual symposia with invited curators, historians, critics, or photographers who have agreed on a topic of mutual interest, and for which they would be asked to write a paper. The result would be publication of the papers along with a video of the discussions to contribute scholarly writings to the history of photography. To hold regular exhibitions of photographs from the Smith/Chamlee archive and by other professionals. To be a research library of photography books. In addition to Smith and Chamlee's extensive photography and art book library there is a promised a gift of a collection of approximately 7,000 photography books. To conduct architectural tours. The Arts of Our Time buildings are architecturally distinguished. They were engineered and passive-solar designed by designer-builder John Ringel whose company is known as Jersey Devil. 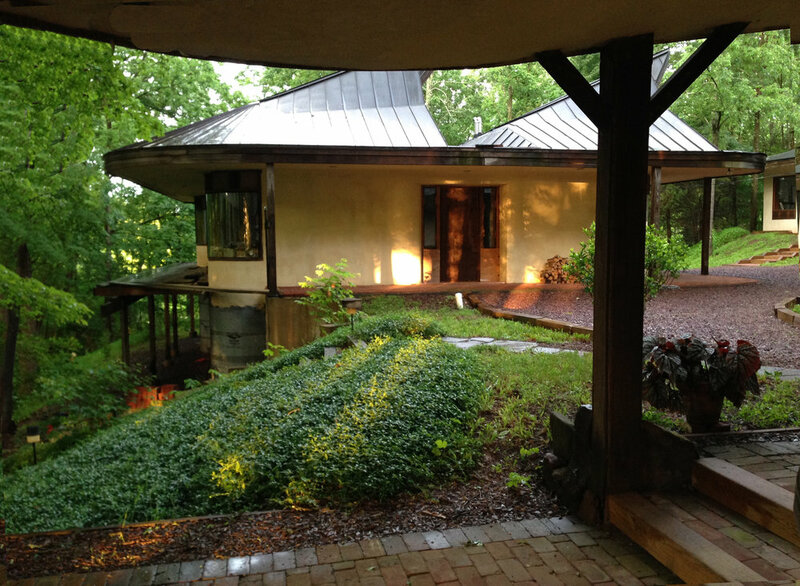 His work is documented in two published books about houses that he has designed and built. The buildings are works of art in themselves—almost everything in the buildings is custom-made down to the door handles, which Michael A. Smith designed. In addition to photography, activities in other media are planned as well. Exhibitions of painting and drawing. To host chamber concerts of contemporary classical music and help support contemporary composers and performers. To create a sculpture park in the fields surrounding the distinguished building complex and to help support young sculptors. To achieve the goals of Arts of Our Time, a fundraising campaign is underway and an Executive Director has been identified and will be engaged when funding is secured. Please call 610-847-2005 if you would like to talk about making a substantial contribution.